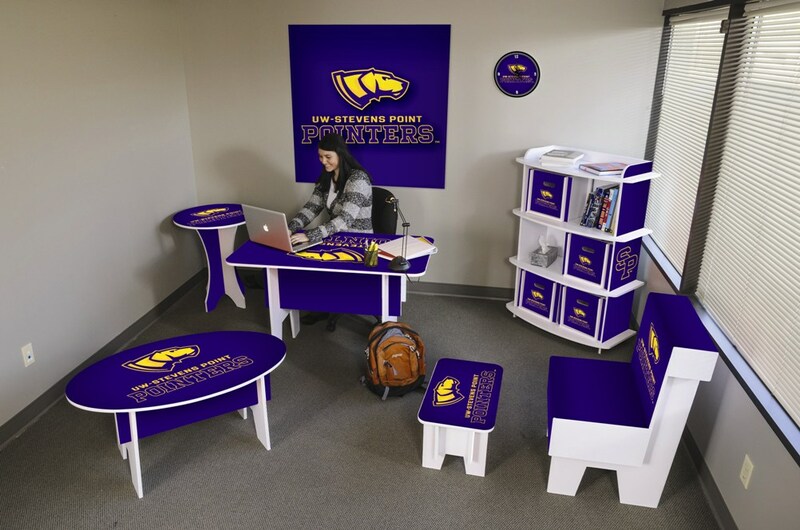 Stevens Point | Color Ink, Inc.
With numerous NCAA Division III national championships, the Pointers have a history of success. The women’s and men’s track and field teams have a combined for 29 individual DIII national titles. The women’s hoops team won the title in ’87 and ‘02 while the men’s squad won back-to-back championships in ’04 and ’05, plus another in 2010. The basketball roots don’t end there; former Milwaukee Bucks head coach and 1st round NBA draft pick Terry Porter calls Stevens Point his alma mater. Speaking of alumni, Jordan Zimmerman of the Washington Nationals was a key member of the baseball clubs which advanced to consecutive DIII World Series in ’06 and ’07. He is currently among the best starting pitchers in the National League.